The Golden Joysticks took place today at indigO2 at London's O2 Arena, one of the largest UK-based award shows to take place each year. There were some notable wins for Nintendo and its partners this year, with a popular creator earning a major award. The Legend of Zelda series producer Eiji Aonuma won the Lifetime Achievement Award. In a typically gracious speech the Nintendo veteran dedicated the award to all of those that have worked on the franchise over the last 30 years; an official press release quotes him as follows. I am glad, honoured and really humbled to be awarded the Golden Joysticks 2016 Lifetime Achievement Award. I say I'm humbled because when I heard about this award, I had to ask myself… "am I qualified to be accepting this myself as an individual, when the award belongs more to The Legend of Zelda Series?" With this understanding I accept the award with pleasure on behalf of more that 1,000 creators, artists, engineers and composers who have worked on the series for more than 30 years. There were a few other winners from a Nintendo perspective. 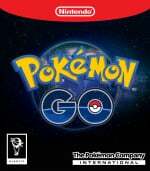 Niantic's Pokémon GO won both the Innovation of the Year and Handheld / Mobile Game of the Year awards. The Legend of Zelda: Twilight Princess HD scooped the Nintendo Game of the Year award. It's always pleasing to see game creators such as Eiji Aonuma be honoured for many years of work. With The Legend of Zelda: Breath of the Wild coming in 2017, it'll be fascinating to see what Aonuma-san and his team deliver next. The Legend of Zelda is much better than Pokémon GO. 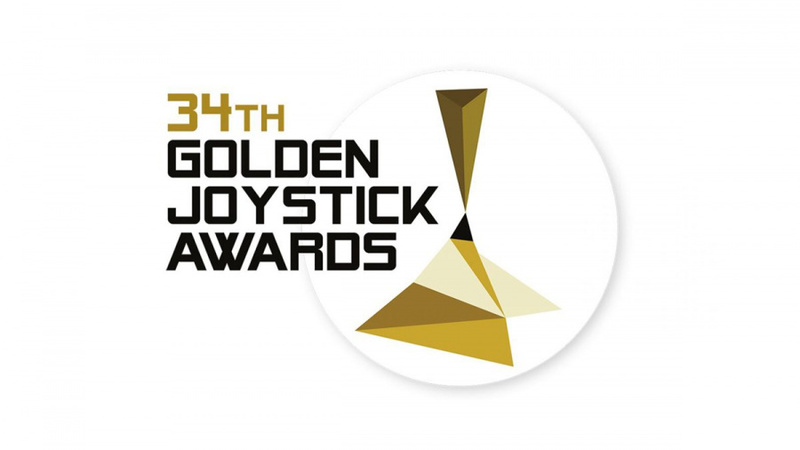 So now, Golden Joystick awards finally realizes that Nintendo exists? Wow. And congratulations, Aonuma. You deserved it! "The Legend of Zelda: Twilight Princess HD scooped the Nintendo Game of the Year award." ...meh. The game wasn't bad, especially as my first step into Twilight Princess, but I played better Nintendo games this year (Tokyo Mirage Sessions #FE, Pokken Tournament, Paper Mario: Color Splash, Mario & Luigi: Paper Jam, Mario Party: Star Rush, and Fire Emblem Fates: Special Edition). Was the lifetime achievement award based on the lifetime he's spent on Zelda U, which was supposed to release in 2015, 2016, 2017 and counting? Really bad timing, they should have waited until next year, if BotW releases on Wii U by then. I'd be happy for him, but I'm too distracted from using the Gamepad. Twilight Princess HD wins Nintendo game of the year? That's an odd choice, not only because it's a remake, but there were better Nintendo games to come out this year, like Fire Emblem Fates, or Hyrule Warriors Legends. Well deserved Aonuma-san, and the team! Impossible to disagree with the award to Aonuma, he totally deserve it after all these years taking care of one of the most iconic series in gaming history! (And so surely do all the people he could only mention as a number for not hold the awards for hours listing all the names of the great people that worked with him XD). 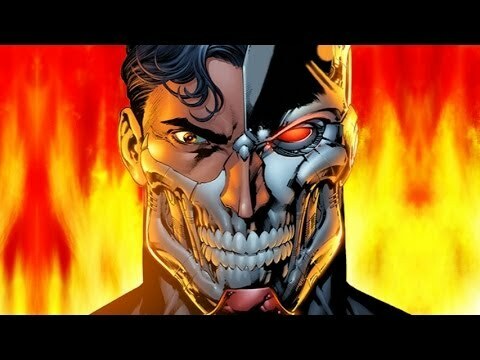 @gcunit I just feel it was undeserving. Or rather, there are other Nintendo games released in the past year that were more deserving. I personally feel that these sort of awards should go to new games instead of remakes/ports. Ohhh the beautiful indigO2. I remember when i competed on the DMC World DJ Championship 2008 in that place. Love it! TP HD won Nintendo game of the year... Wow. @Clownshoes I am allowed to have anybody in the world to have any opinion, no matter how hurtful it makes me. I can understand in some cases why Golden Joystick chose Twilight Princess HD as the best Nintendo game of 2016 (and therefore, your opinion will be 100% respected), but for me, I wouldn't even choose it as GOTY material, and I say this as a huge Zelda fan here. The game isn't bad, but from what I experienced from the beginning to the end, it was very flawed, and the game being a remake has 100% nothing to do with my reasons why I think so since (as I've said) Twilight Princess HD is my very first step into the world of Twilight Princess. For me, the game was just too tedious to play through, especially during the intro and most of the dungeons (Curse you, Magnetic Walls, Temple of Time and your Dominion Statue!!) for the some of the worst padding I've ever seen in any Nintendo game (Yes, I played through Skyward Sword and being that Link had an actual dash ability and warp points being placed in all the right spots, I never got bored here and there). Getting through the overworld gets very tedious without Epona and it seriously hurts for the fact that you get the ability to call Epona anywhere far too late in the game because "story" purposes (heck, the giver even mentions that she should have given that to Link from the beginning...hurray, thanks...could've been useful then...). The upgrades are far too few in between in that I barely found myself feeling improvement that aren't Heart Containers, Bag and Wallet Upgrades, and the Dungeon Items, with the last being some things that I can barely remember myself enjoying since the game makes inconsistent use of each of them outside of the dungeons they come from; some of them are used for a couple times while others are just badly-worked in at bad times throughout, not to mention that the dungeon bosses barely pose a hint of threat if you know what to do with the dungeon items you've gotten. The new sumo-wrestling mechanic wasn't a bad idea on its own, but having to do this on a couple of bosses outside of the minigames ruined the luster for me and are pointless to have outside of being a minigame, especially given the fact that there's a massive delay between the miniboss you use this on in the second dungeon all the way up to one of the last bosses in the game. I don't play video games for anything that isn't gameplay, but I wasn't too pleased with what TP offered in terms of story as it felt like something done before. Sure, there are a few parts that caught my attention, but I kind of saw them coming. There are some good parts I had with it, such as the Snowpeak Ruins' vibe, the dungeon boss in the second-to-last dungeon, the final boss, Bomb Arrows, Snowboarding, and the ending credits music (which I listen to every now and then). Aside from those, there's not really anything else I enjoyed from Twilight Princess. 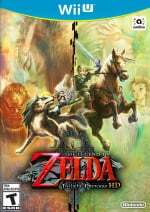 I love the Zelda series and I will continue to give more than all of the love I have for it through and through, but Twilight Princess is my least favorite of all the official Zelda titles I played (haven't played the two DS ones, but touch screen for character movements aren't my thing). I love the humbleness with which all Nintendo geniuses receive their recognition. Never in ego, never in spite. Always in awe of their colleagues, always with gratitude and optimism. @Clownshoes Woah, calm down. He wasn't saying TPHD was the worst game ever, he was just stating his opinion. And no, TPHD is not the best game this year, and is in fact a pretty mediocre game. I kid. They won't do that. It's a UK award show people...Their opinion about good Nintendo games is beyond irrelevant. Good man. So humble. Congrats Aonuma-San!!! Zelda has gotten worse and worse since this guy is in charge and they gave him an award? Couldn't happen to a nicer man. No, seriously. @JaxonH "once they cancel the Wii U version"
They can't cancel it, you gave me your word they wouldn't. I still don't think they'll cancel it. I do think it will release after March, maybe late May, they like to release big games then. It can go on the shelf next to the Wii U version of Just Dance 2018. Poor Wii U. It celebrated it's 4th birthday the day after PS3 celebrated it's 10th and I think PS3 has a better new game lineup this holiday. Oh well, I'm playing Paper Mario, LCU and Bayonetta 2 now, sending i tout like the end of a big fireworks display where everything goes off at once. Know what's great about LCU? The real time interactive map. Oh, and the great graphics, it looks so much better than Lego Dimensions while using the interactive map w/ vid-calls. I think Wii U may have gotten the PS3 port of Lego D.
So, what does the guy w/ everything ask Santa to bring him this year? A new tv stand for your big tv to hold every console known to man? Midnight, time for bed. Well, it's not my Christmas gift from others, but I'm buying a 2017 Honda Civic today. I needed 4 things- a new car that'll last 250k miles, a rear camera with LCD display (so I don't run over a kid backing up), remote start (WI winters can be brutal warming cars up when you're running outside and starting by hand), and that Honda Sensing tech where the car auto breaks if the car ahead of you breaks, and speeds back up if they do, detects if you're drifting out of your lane, etc. I think that's just fantastic to help mitigate wrecks. No one deserves this more than Aonuma- san. @JaxonH Did you have TPiR voice in your head when you typed that? Bob Barker was the man. WI winters? You say that like you have more than 1 season there. Car sounds nice. New tech is good. We have a 13 year old Saturn and a 5 year old Hyundai Elantra and wile it doesn't have any high tech bells and whistle the satellite, MP3 playback, steering wheel controls etc are all nice touches. Hard to drive the Saturn these days. So you'll be getting a lot of car wax and ice scrapers from your family then for the holidays, huh? Maybe some fuzzy dice and air freshners. Do you currenlty own a pick up truck? I have images in my head of you sitting in the front of a pick-up truck playing MH on your 3DS during your lunch break, which I'd only have if you told me that. Truck seems like a good choice for Wisconsin. Whatever, congrats on the car, no gaming while driving. Mister Aonuma, you earned it! But the Switch is a perfect gaming system to mount into the steering wheel, my thumbs can rest on the analogs without ever taking my hands off the wheel. I've never been into trucks. Gas guzzlers don't work so well when you travel 30 miles to Madison and back every day for work, 6 days a week. 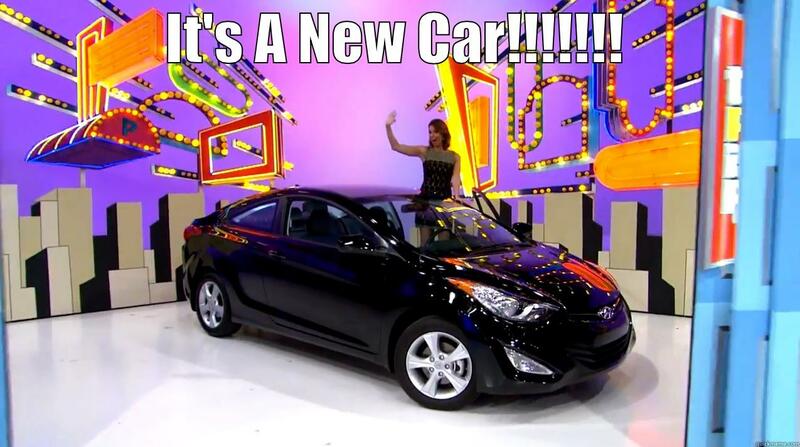 I almost bought an Elantra back in 03, but went with a Cavalier instead. It was a decent little car. @JaxonH Until you hit something, the airbag embeds the Switch into your brain, and you become a cybord super villain like Braniac or Dr. Cortex. @Equinox Go was free and on phones. Therefore, many many more people played it then FE Fates and MH4 combined. Still, maybe Sun/Moon will pick it up next year since Go got a lot of people buying a 3DS to play Pokemon games and the fact its the most preordered game in Nintendo's History. You know it's a dry year when a remaster wins Nintendo Game of the Year.